The North Korean government is continuing its efforts to build a better missile, especially one that can reach the United States. But a new assessment of Pyongyang’s progress — and its ultimate goal of sewing death and destruction on American soil — concludes that precision nuclear strikes aren’t necessary. Just getting a nuclear-tipped ICBM close, as in, say, close enough to explode over Los Angeles or Seattle, would do the trick. Agence France Presse reported Friday that North Korean officials said the military had developed a new surface-to-ship cruise missile that it said is capable of hitting “any enemy group of battleships” that threatened Pyongyang — very likely a reference to the growing fleet of U.S., South Korean and Japanese warships in the waters off the Korean peninsula. “The launched cruise rockets accurately detected and hit the floating targets on the East Sea of Korea,” the North’s main propaganda arm, the Korean Central News Agency, reported. But it’s the North’s work on intercontinental missiles, and its continued development of nuclear weapons, that is most alarming to the Trump administration, as well as Washington’s allies in Tokyo and Seoul. And it is that effort that is leading the Pentagon to step up its own efforts to develop a credible missile defense system, which underwent its most realistic (and successful) test to date last week. As reported by The Wall Street Journal, North Korea is believed by U.S. estimates to have anywhere from 13 to 30 nuclear weapons, with the capacity to produce five a year. “If Mr. Kim [North Korean leader Kim Jong-un] were to detonate one of these bombs in the atmosphere 40 miles above Seoul, it could inflict catastrophic damage on South Korea’s electric power grid, leading to a prolonged blackout that could have deadly consequences,” the paper said. That’s serious, given that the U.S. has 28,500 troops — soldiers, sailors, airmen and Marines — stationed there. And there are more at sea, very nearby. The electromagnetic pulse generated by the nuclear explosion at altitude would destroy the grid, hindering any U.S. and South Korean military response to the North’s aggression. In 2001 Congress established a commission to study the danger of an electromagnetic pulse generated by the detonation of a high-altitude nuclear weapon. It concluded that while there would be no blast effects on the ground, critical electricity-dependent infrastructure could be rendered inoperable. 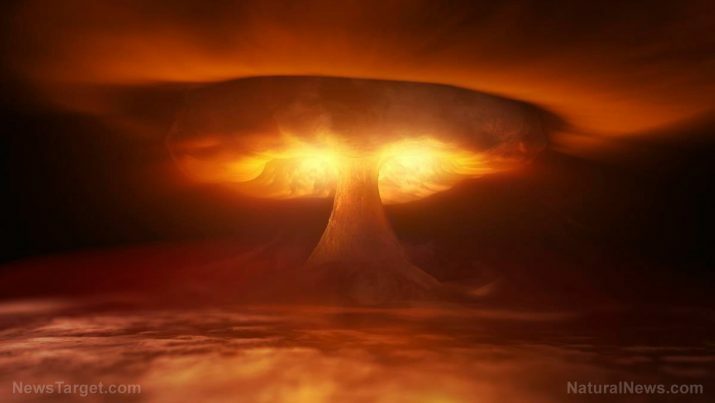 The commission’s chairman, William R. Graham, has noted that several Russian generals told the commissioners in 2004 that the designs for a “super EMP nuclear weapon” had been transferred to North Korea. At that time, the Russian generals noted that Pyongyang was probably just a few years away from developing that super EMP device. More recently Dr. Peter Vincent Pry, staff director of the congressional EMP Commission, opined that a recent missile test by North Korea, which exploded at an altitude of 40 miles, was likely deliberate and may even have been a dry run for an EMP attack. What makes this potential weapon appealing to the North is that Pyongyang wouldn’t have to develop an ICBM that could withstand re-entry into the Earth’s atmosphere. Also, accuracy wouldn’t be a concern, either. So even something detonated close to L.A. or Seattle would knock out power there, perhaps for months. Chaos would ensue, without question. “The U.S. and South Korea should ensure their ballistic-missile defenses are effective and harden their electric power grids against EMP effects as soon as possible. The day of reckoning could come sooner than anyone in either country thinks,” Henry F. Cooper, the U.S. ambassador to the Defense and Space Talks during the Reagan administration and director of the Strategic Defense Initiative during the George H.W. Bush administration, wrote in WSJ. Find out how to EMP-proof your life here at Bugout.news.